Watched Iron Man with a friend last night. Nice special effects, and all in all, a great movie to watch on a big screen. Major suspension of disbelief is required to ignore some serious defiance of laws of nature. But nobody expects realism from a Marvel movie, at least I did not. And honestly, that palladium stuff must be awesome! Gotta get myself something made out of it. Something that glows in the dark. 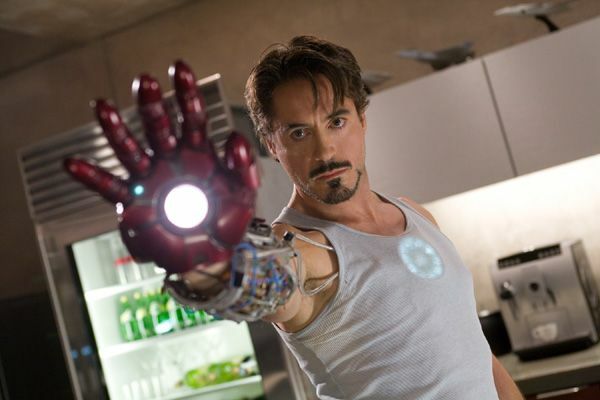 Have to note that Robert Downey Jr. looks quite fine in the movie, and I was glad to see that. The last movie I saw with him was A Scanner Darkly, liked that one too, but it felt almost too ironic that he was playing a paranoid junkie in it. About 15 minutes before the movie ended, the movie theater had a power surge (quote/unquote) and lost their sound. In all movies running at the time, but we did not know this of course. The sound disappeared just as that blonde lady was about to crash her SUV into the evil guy during the last battle, and for a few seconds that appeared like a cool effect, how the moment almost freezes and there is no sound. But then the sound did not return. Ever. We stayed and watched till the end, and I even found it kind of cool to be able to concentrate on the visuals without the thundering sound effects' distraction. When on the way out, they gave us free tickets to make up for the loss of sound, so in the end it turned out to be quite a cool evening.